I'm a designer. Founder of Studio Geenen, Cofounder of Wevolver. Wevolver is a webplatform that enables Makers to build engineering projects. The Mission of Wevolver is to empower indivudials to create technology. Today’s makers create low-cost prosthetics, hardware to explore the deep ocean and satellites that go into space.They learn, innovate, solve challenges and are reshaping education, economics & science. Wevolver was created because Makers struggled to get the necessary information to build engineering projects. If someone wanted or needed to build a project he/she had to: 1.Via google or social media stumble upon a project. 2.Find information hidden in forums, wikis and blogs. 3.Download files from different platforms. 4.Purchase components online and offline from multiple suppliers and sources. Wevolver is a platform with engineering projects created by the Maker community. Projects contain all knowledge and files necessary for making them, and visitors have the ability to purchase the necessary components and materials. The Wevolver community enables peer learning, sharing your own work and collaborating on projects. Upon graduating in product design in 2009 I started a studio. It's goal was to apply advanced technologies to make better and more sustainable products. Our approach was collaborating with field experts from multiple disciplines including scientists engineers and craftsmen to apply technologies in a meaningful way. 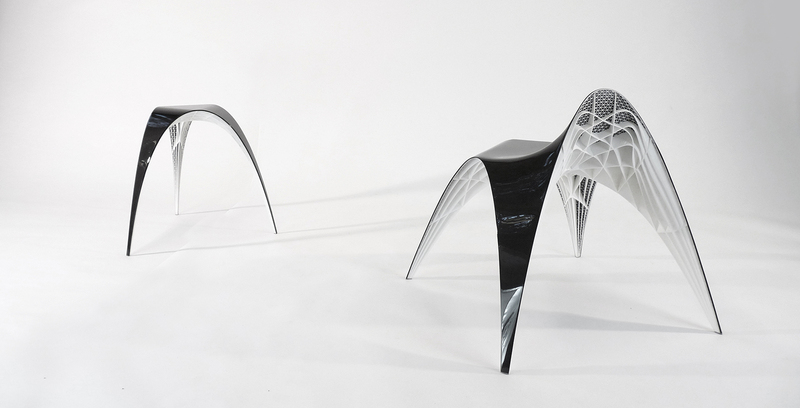 The resulting work included extremely lightweight 3D printed furniture and the development of sustainable mass-production techniques.